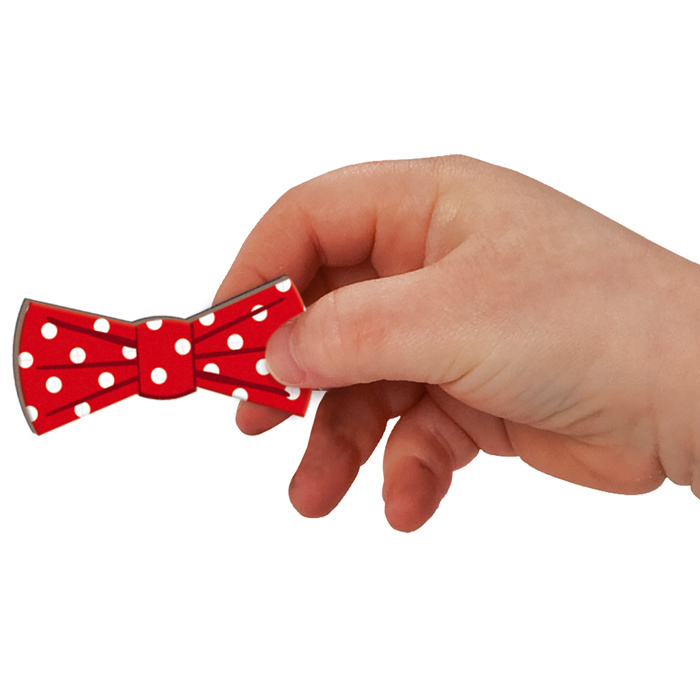 Who shall we create today? 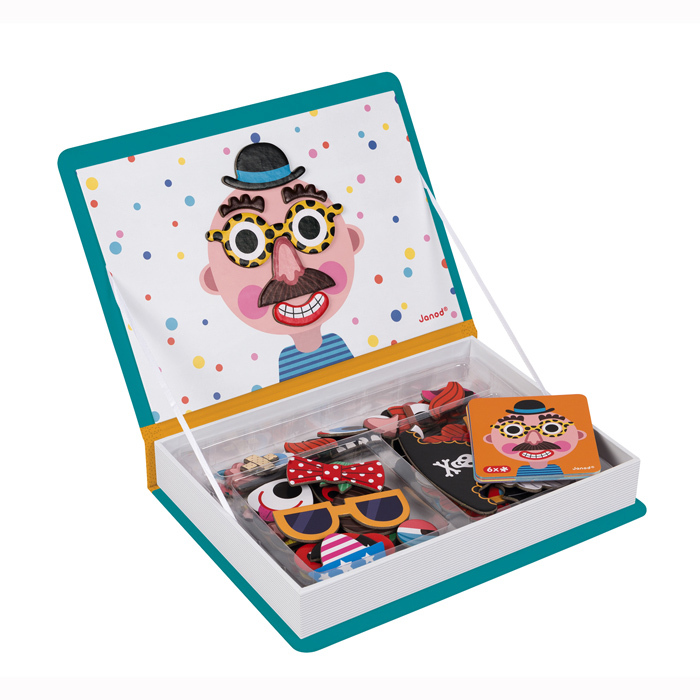 Use the 70 magnets to copy one of the 12 funny face cards or mix it up a bit and create your own funny face. 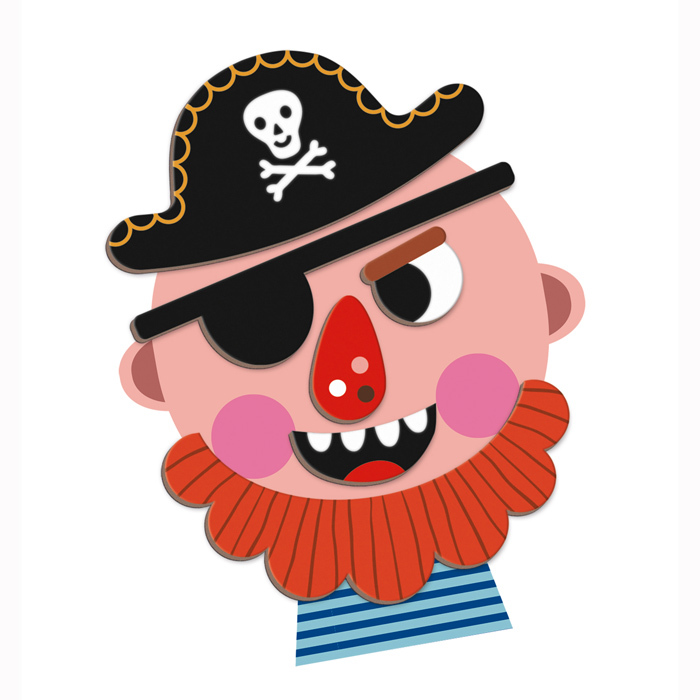 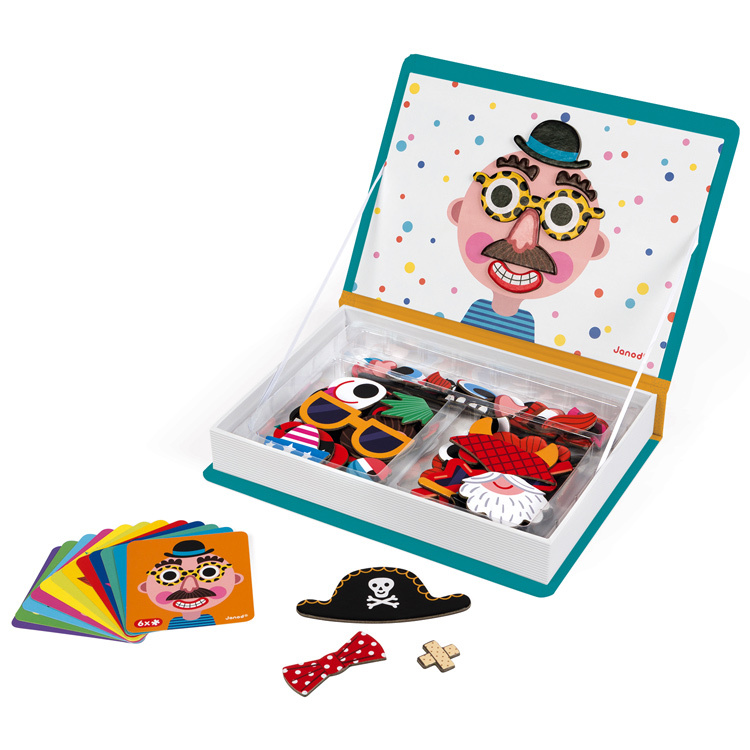 Put together a grumpy pirate or maybe a jolly clown, the combinations are endless and hilarious! 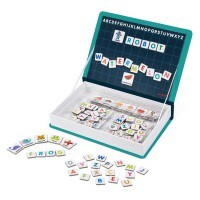 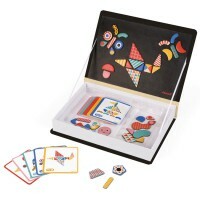 Once you have finished playing with the magnetic book place the cards and magnets inside the box and store it neatly on the bookshelf. 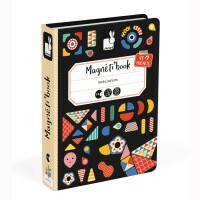 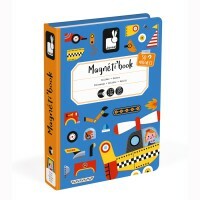 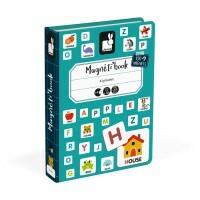 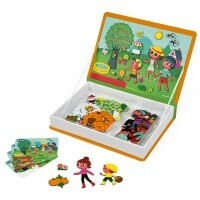 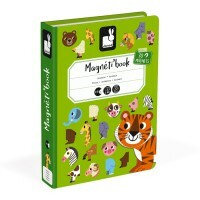 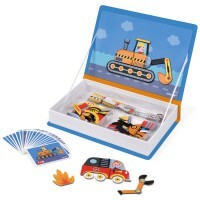 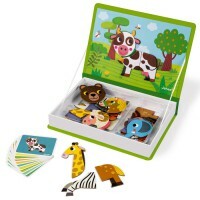 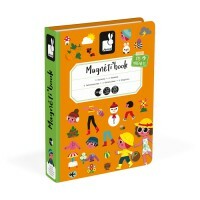 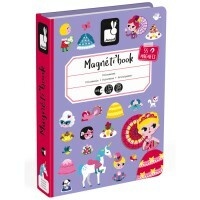 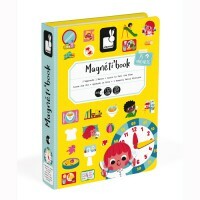 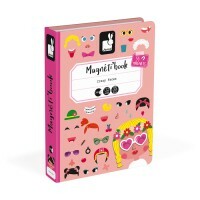 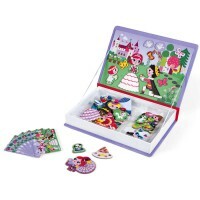 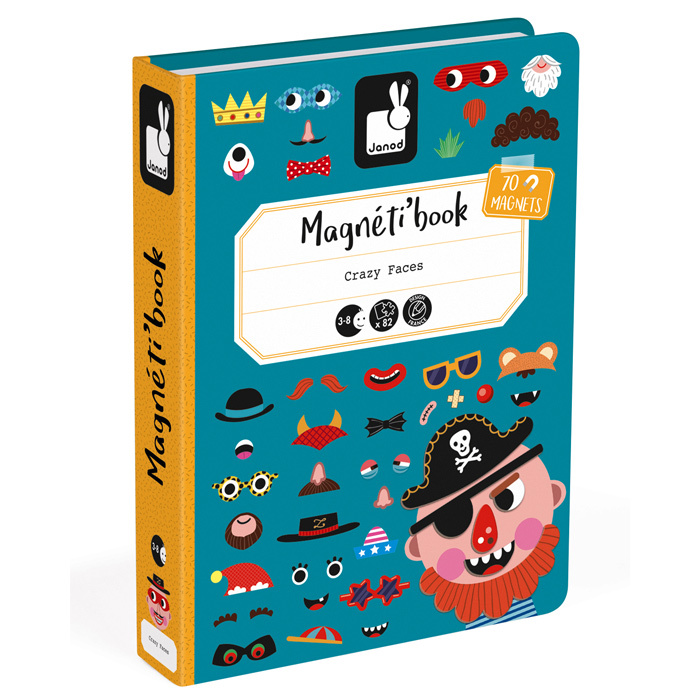 It's just one of the fabulous Janod Magnetibooks to choose from!